While 2018 was a tough year record-wise for the Augusta Athletics, they did produce some banner individual seasons. Matthew Gilbertson was named to his fifth All-Star Game, and was named Honorable Mention All-CRBL. He just missed making his first, All-CRBL Team, finishing fourth among outfielders in the voting. 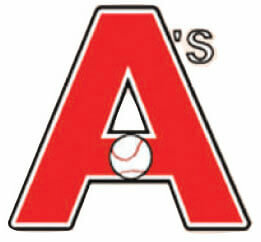 Matthew led the A’s in batting average at .404, hits with 26, runs with 15, doubles with 5 and RBI with 14. He was also the only Athletic to play in all 22 games. Congratulations to Grant Witcraft on being a finalist for the CRBL’s “Rookie of the Year”. Grant had a terrific season, batting .262 and finished in the Top 5 on the team in at-bats and hits. Pitcher/Third Baseman James Gilbertson was chosen to play in his eighth All-Star Game and First Baseman William Mallett-Brown was selected to his first All-Star Team! In addition to those three, the A’s return a number of players who both have experience in the league, yet are under the age of twenty-five! Peyton Bethke, J.J. Breaker, Isaiah Gilbertson, Mitchell Hong, Quinn Kirchoff, Kayne Korger, Josh LaGow, Zac LaGow, Trevor Fischer, and Mitch Hong will comprise the nucleus of an improving franchise. 2019 is the 40th Anniversary of Jan Krueger’s Augusta Athletics! It is also the 25th Anniversary of the club’s 1994 Wisconsin Baseball Association State Championship! There will be much to celebrate this summer at Jan Krueger Diamond at Memorial Field in Augusta!